This is the first release of a masterful album recorded by Bullwackies in the same heady months of 1982 - on the cusp of Dancehall - which delivered the Love Joys 'Lovers Rock' and Junior Delahaye 'Showcase' LPs. The lineage of The Meditations - Ansel Cridland, Winston Watson, Danny Clarke - elaborates Wackies classical project perfectly: from their introduction by Stranger Cole (who would himself record for Wackies) to Dobby Dobson back in 1975, and their hits for him under the supervision of ace Studio One engineer Sylvan Morris (Woman is like a Shadow, Running from Jamaica & co); through revered Lee Perry productions like No Peace and House of Parliament. 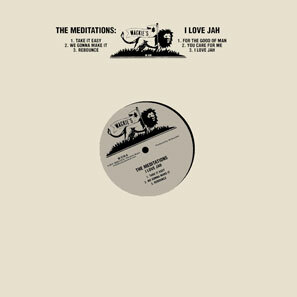 This album evokes and deepens the atmosphere of those Black Ark sides - but cuts the group’s militant rasta reputation with the ecstatic soulful sensibilities of the Junior Delahaye session. 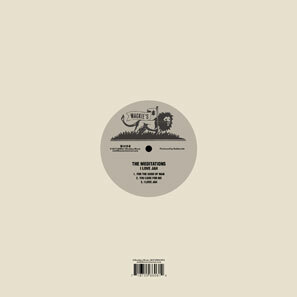 The tracks comprise six originals - brand new, prime Bullwackies music - though the title cut recasts 'I Shall Be Released' via interpretations for Coxsone and Scratch by The Heptones (another all-time-great JA vocal trio with an unreleased Wackies album recorded during this period). The luxuriant sublimity of the mature Wackies sound - dubwise from start to finish, with the drums of Jah Scotty and big-city-blues guitar of Barry Vincent outstanding - sets off some of the finest trio harmonising you will hear.